Home / FAQs / About Lindora and Lean for Life / What is Lindora’s Lean for Life Program? What is Lindora’s Lean for Life Program? Lindora’s Lean for Life® program is a personalized weight management system that delivers rapid, safe results. Since 1971, people of all ages and weights have successfully lost weight and learned to keep it off using the Lean for Life® program. Whether you want to lose five, 50 or 500 pounds, the Lindora Lean for Life® program can help you lose weight and learn to keep it off. And while you’re doing it, you’ll eat a healthy variety of foods that you can find in any grocery store and order in restaurants. You do not have to prepare separate meals for yourself, because your family can eat the same foods. The Lindora Lean for Life® program is not one of those trendy low carb, high protein and oftentimes high fat diets. Lean for Life® has been called the smart carb approach because we combine healthy eating with individualized therapeutic lifestyle adjustment. This comprehensive program addresses the physical, mental and lifestyle issues of weight control. The program includes a Weight Loss Phase that is followed by a Lifetime Maintenance Phase. The program is presented in a step-by-step, day-by-day format that participants find easy and convenient to follow. During the Lifetime Maintenance Phase, the menu plan transitions into a more traditional balance of low fat, moderate carbohydrate, moderate protein foods. Participants learn to eat a wide variety of foods while maintaining a healthy weight and lifestyle. When followed correctly, the Lean for Life® program helps participants achieve a rapid, safe, healthy and comfortable weight-loss result. Although the exact rate of weight loss varies among individuals, the average weight loss for participants who follow the program correctly and are reasonably active is approximately two to five pounds per week. Other benefits of the Lean for Life® program include decreased hunger and cravings, improved mood, increased energy and protection of lean muscle mass. 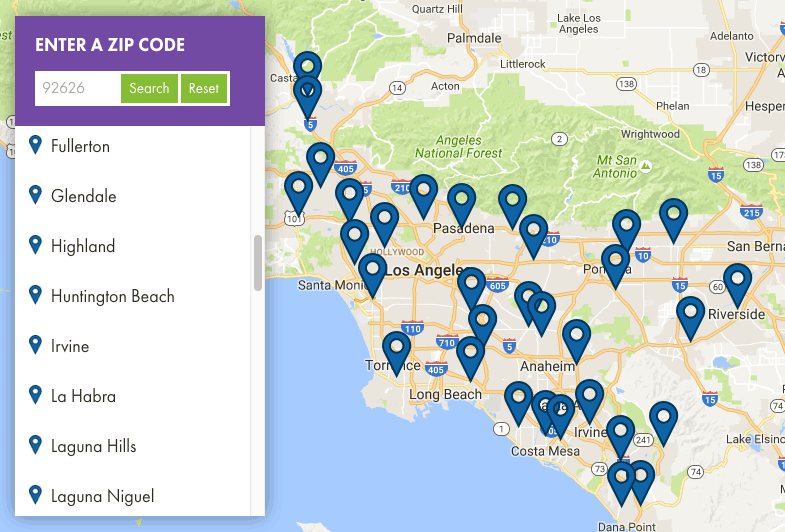 Lindora has clinics located throughout the five counties of Southern California. And, with Lindora by Phone™ and Lindora Online™, we can help people all over the world learn to be Lean for Life®. Our Lindora Care…Everywhere philosophy brings our clinical program and behavior modification support to you in the convenience of your home or office. The decision is yours; you can become Lean for Life®, no matter where you live!